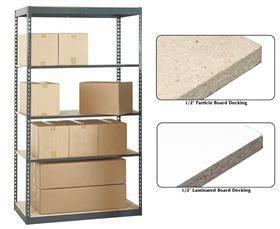 Shelving systems are an important material-handling system in many different settings and applications. There are many different kinds of shelving systems that can hold a number of different parts and materials. Some of these different systems that the S. W. Betz Company has experience with are listed below. Boltless Shelving – Boltless Shelving is fast and easy to assemble and can hold a number of different parts and materials and substantial capacities. All-steel snap together construction requires no tools to assemble. Wire Shelving – Wire Shelving is used in a number of different industries including warehousing, restaurant and food supply, medical and pharmaceutical and others. Wire Shelving is an easy way to store a number of different products that have a higher capacity than steel shelving. The S. W. Betz Company has developed many quality relationships with manufacturers over the years and proudly distributes products of some of the top companies in the industry, including Scotland Rack and Jaken. If you are in need of or would like more information on any of our shelving systems, please contact us and one of our team members will be happy to assist you. For more information about Shelving Systems or any other product or service from S.W. Betz, fill out and submit the form to the right.